– Moms and dads are invited to bring their toddlers and preschoolers to an eight week art session with art instructor Emily Koen. Sessions begin on Sept. 14 from 9:30 a.m. – 10:30 a.m. at the Templeton Recreation Department located at 599 South Main St., Templeton. The cost of the eight week session is $120. Pre-registration is now open. To register online go to www.templetonartworks.com and send forms via e-mail to: templetonartworks@gmail.com. Registration is also accepted by mail to P.O. 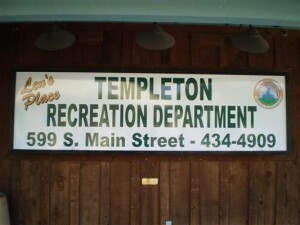 Box 552, Templeton, CA, or drop-off registration forms at the Templeton Recreation Department.